Scoot over, Paddy. If you'll let me get off my feet, I'll rub your sweet bunny head. 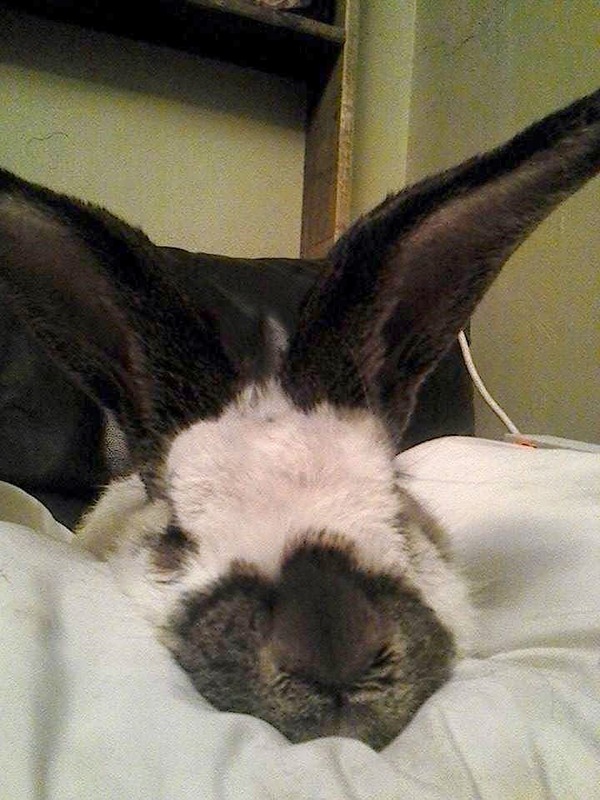 This adorable bun-bun deserves lots of head-rubs, nose-nudgies, and nose-kisses. It's hard work being an adorable bunny, on top of having to keep the hoomins in line!